ETİ Cicibebe is the source of vitamins and minerals which you can confidently give your babies in addition to breast milk from 6th month. ETİ Cicibebe which contains iron has additional vitamin C. It contains 12 vitamins and 7 minerals. 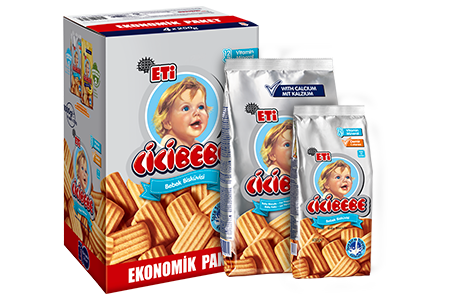 ETİ Cicibebe Biscuit easily softens in milk or fruit juice. Babies love its taste with plenty fresh milk and egg.